*Find Your Privacy Filter: If you aren't sure about your desktop screen size, just take a tape & measure the screen diagonally, excluding the frame. Use your measurements to select the correct size privacy filter. 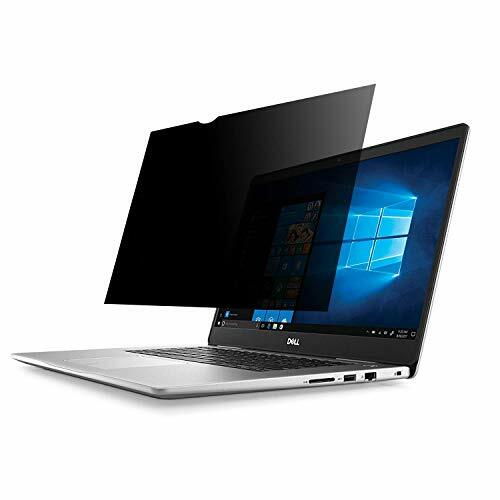 -For regulation of a necessary degree of your confidentiality, use the function of reducing or increasing your computer's monitor brightness. ✿If you meet any questions, please feel free to contact us. ✔【MAXIMUM PRIVACY】 - Effective "Black out" privacy from side views outside the 60-degree viewing angle. Designed for optical clarity when viewing from the front, a person not at the front of the screen can only see the dark side of the screen, so it protects buisness secrets and personal privacy. However, it is Not designed for touchscreens. ✔【DOUBLES AS SCREEN & EYE PROTECTOR】 - Privacy screen for Monitors not only provides privacy but also protects your eyes by filtering out 97% UV and curbing blue light by 70%, which can otherwise have an adverse impact on your eyes. Our privacy screen also helps keep your screen safe from dust and scratches. ✔【NO MORE PRYING EYES】- We produce it from Premium Korean (LG) materials. The privacy effect more dark and the front side more clarity than normal filter. Best for public and high traffic areas; airplane, airport, bus, offices, and for financial / health care providers. *Note: According to the privacy filter manufacturing protocol, during the different environment, please adjust the screen brightness to get better performance. ✔【EASY INSTALLATION】- Choose between 2 simple Options; Slide-On/Off or Mounted. The filter is lightweight, thin and frame-less in design. If you meet any questions, please feel free to contact us. We provide 24 hours friendly email customer support for you. If you have any questions about this product by Ovimir, contact us by completing and submitting the form below. If you are looking for a specif part number, please include it with your message.